Apple is reportedly in late stage talks to acquire Shazam, a popular content recognition and identification app that is currently rounding up investments as it moves toward an initial public offering. Citing sources familiar with the matter, TechCrunch reports the deal is not finalized, but could be announced as soon as next Monday. One source puts the deal at nine figures, while another pegs it at around 300 million pounds ($401 million). Shazam started life in the UK in 1999 as a product called 2580, named after the number users had to dial to reach the service via text. 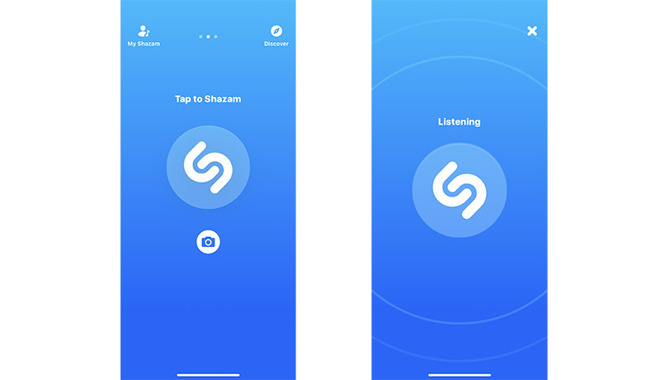 Since its debut on the iOS App Store, and subsequently Mac App Store, Shazam has evolved into a comprehensive audio fingerprinting service that allows users to identify songs, movies, TV shows and other media by capturing short audio segments. As noted in today's report, the app reached one billion downloads in September 2016. Commonly a top-100 app on the App Store, Shazam's user numbers have almost certainly swelled in the interim. In an interview earlier this year, Shazam CEO Rich Riley said the company could be an acquisition target for a larger company looking to get a leg up on competition. Riley said the company had shifted focus away from selling songs to advertising in a bid to reach profitability, a goal it achieved in 2016. In September, the company reported revenues of 40.3 million pounds for the 2016 fiscal year. Called "Shazam for Brands," the firm's marketing vertical lets users discover new content by taking pictures certain real-world objects. For example, snapping a photo of a special Pepsi mini can unlocks exclusive content related to the hit TV show "Empire." Other objects are made interactive through augmented reality. Limited edition bottles of Bombay Sapphire gin and boxes of Maltesers candy trigger specialized AR features. In the U.S., Shazam launched its first AR game experience, a 3D memory game, in a deal with Suntory's Hornitos and Sauza tequila brands. 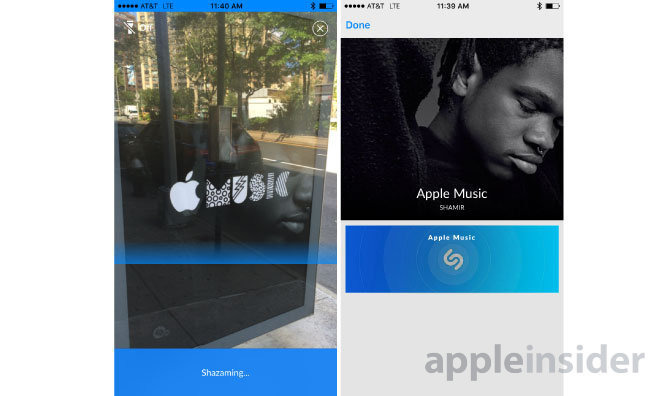 Apple partnered with Shazam's brand marketing arm in 2015 to power an Apple Music ad campaign. Users who spotted a compatible Apple Music poster in the wild were able to scan the image, which would lead to an artist's Apple Music page. Before the ad campaign, Apple integrated hooks into Shazam's audio service to enable music identification via Siri in iOS 8. Currently, Shazam features integration with a number of music services, including iTunes and Apple Music. While iTunes hooks feature simple track purchasing options, Apple Music subscribers can use Shazam to quickly add identified songs and to a customized playlist. If Apple does buy Shazam, and for the rumored price, it will represent the second largest acquisition made by the tech giant in recent years. Apple's purchase of Beats for $3 billion in 2014 still stands as the company's biggest single investment in an outside firm. The reported $400 million price tag would be a significant discount compared to Shazam's most recent funding round, which valued the company at $1 billion. Since it began courting investments in 2002, Shazam has raised some $143 million from major investors, including record labels Sony and Universal.